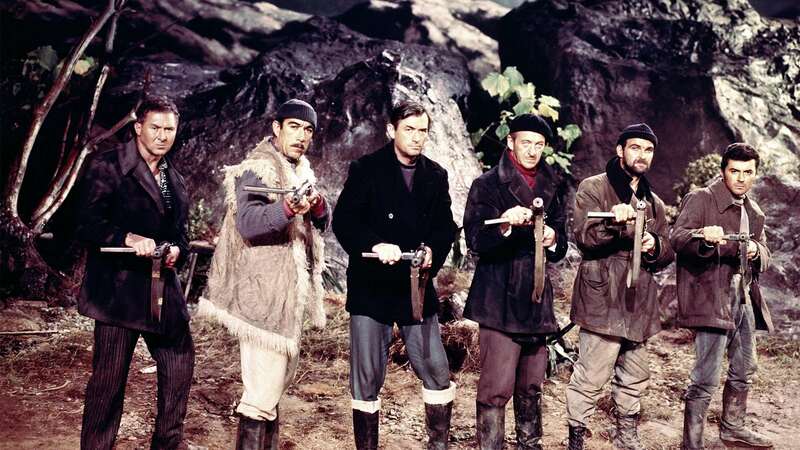 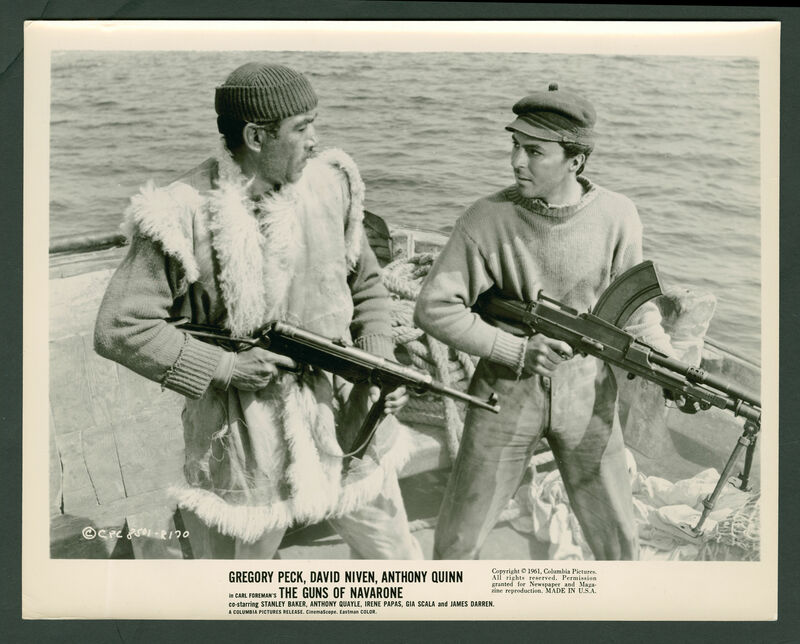 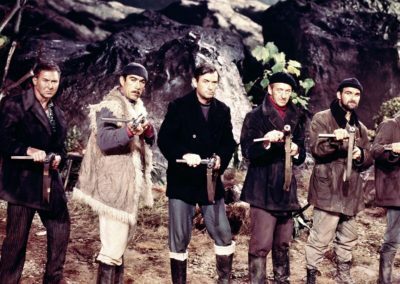 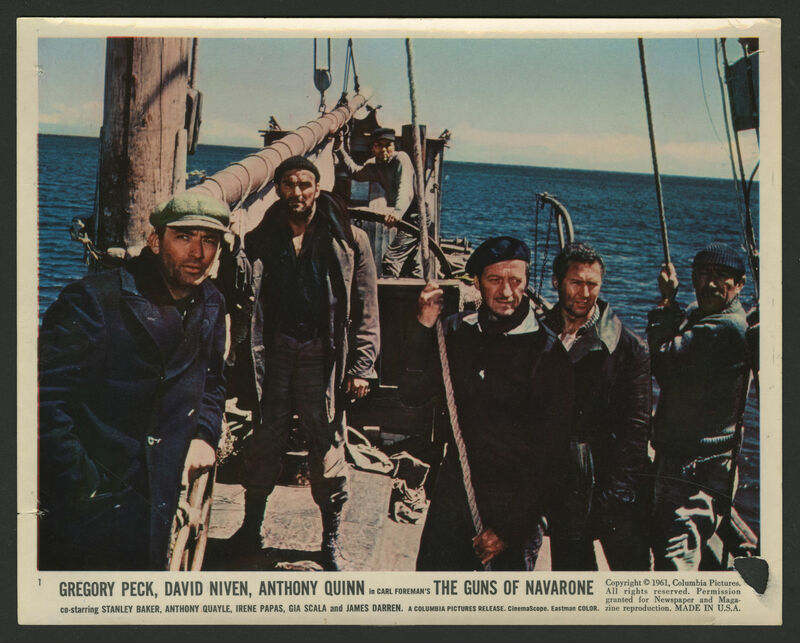 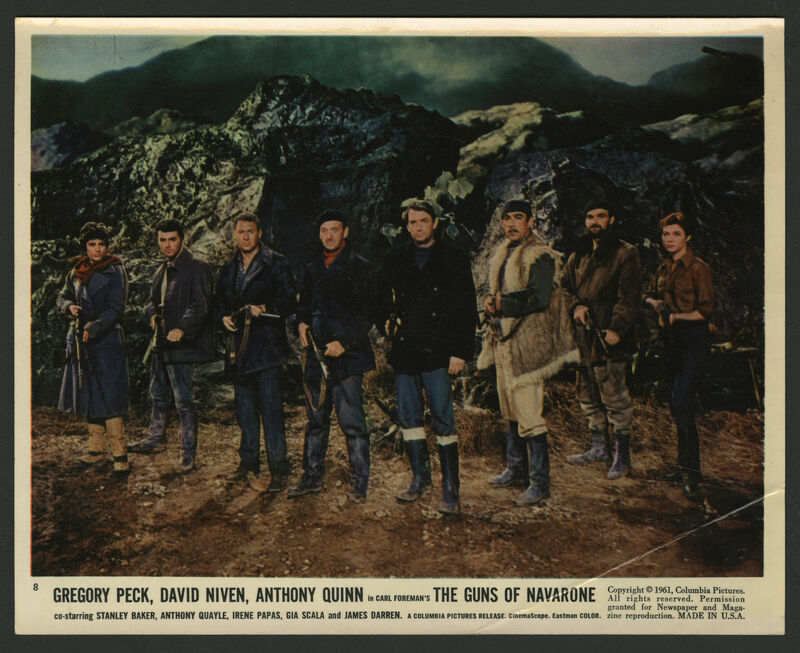 The Guns of Navarone is a 1961 British-American epic adventure war film directed by J. Lee Thompson. 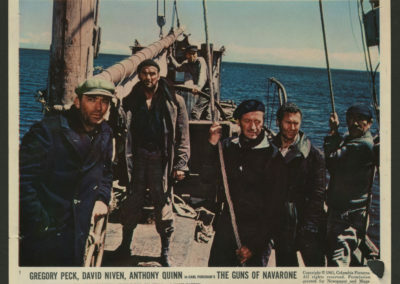 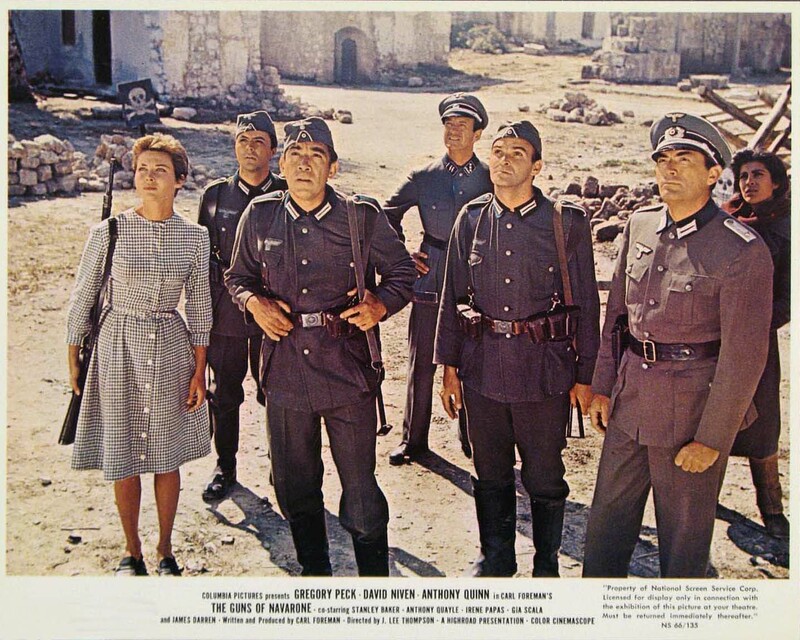 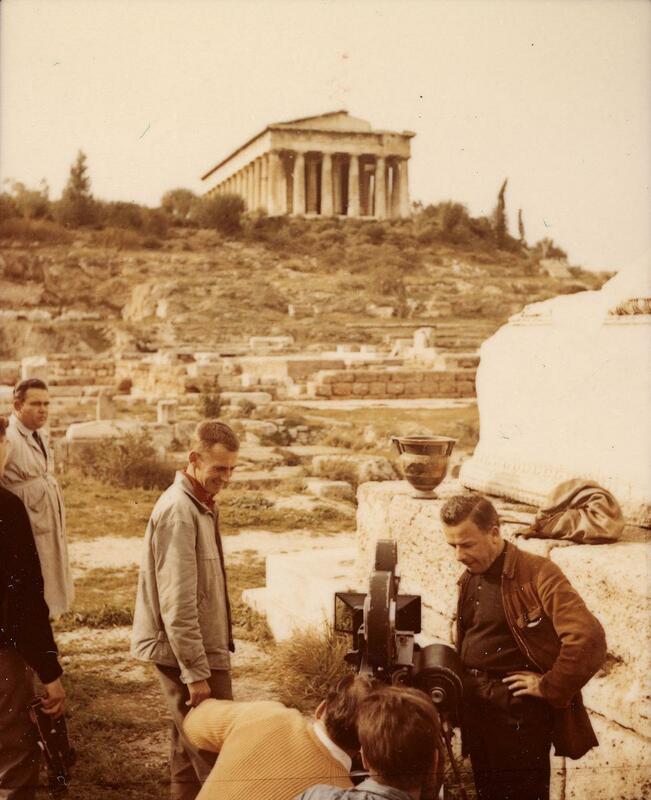 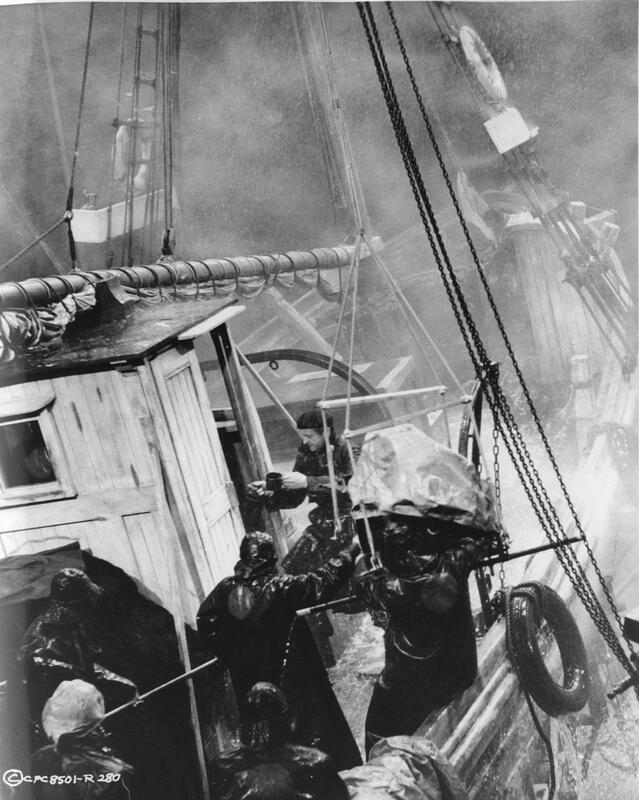 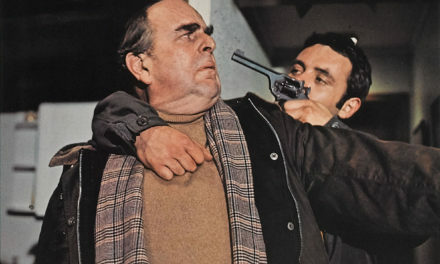 The screenplay by producer Carl Foreman was based on Alistair MacLean’s 1957 novel The Guns of Navarone, which was inspired by the Battle of Leros during the Dodecanese Campaign of World War II. 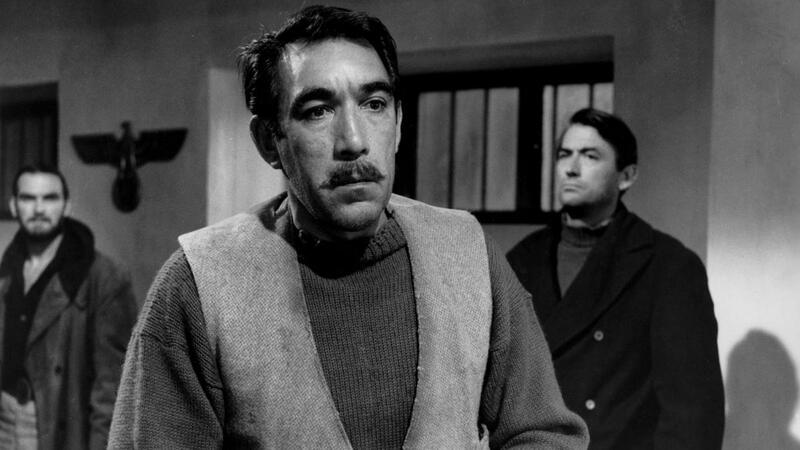 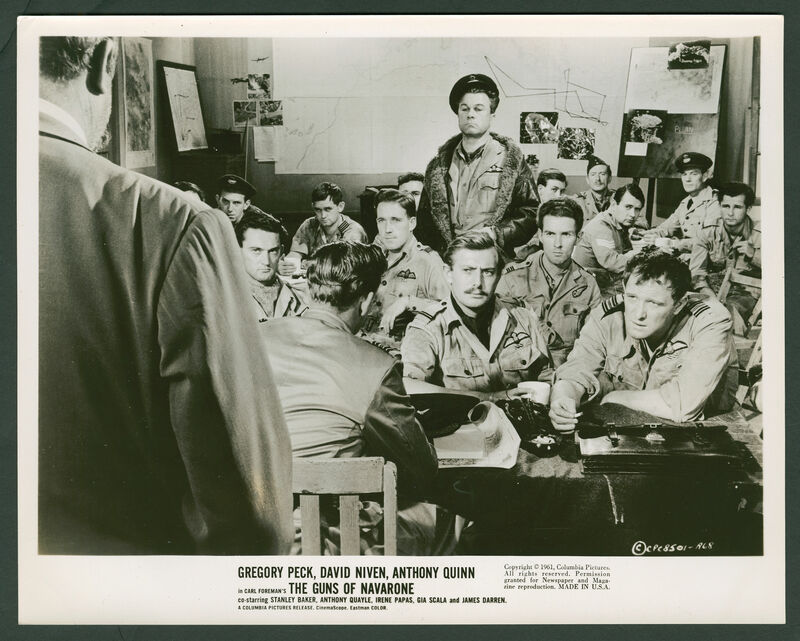 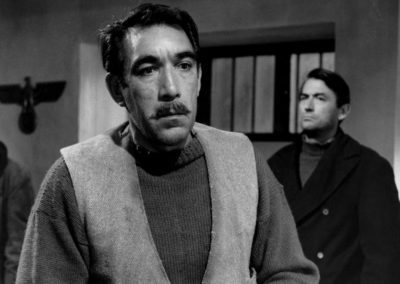 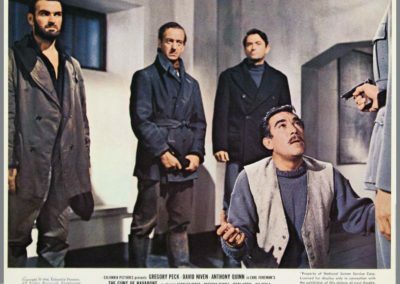 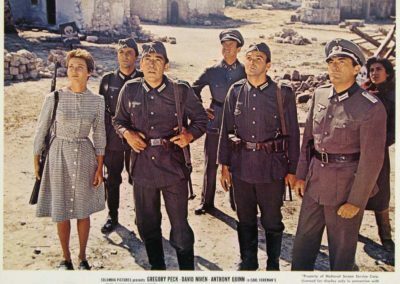 The film stars Gregory Peck, David Niven and Anthony Quinn, along with Stanley Baker, Irene Papas, Gia Scala, James Darren and Anthony Quayle. 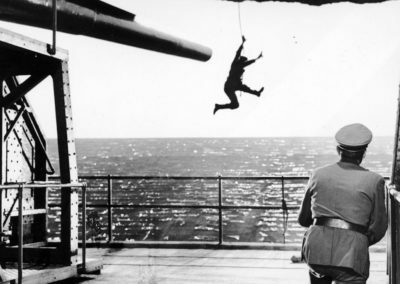 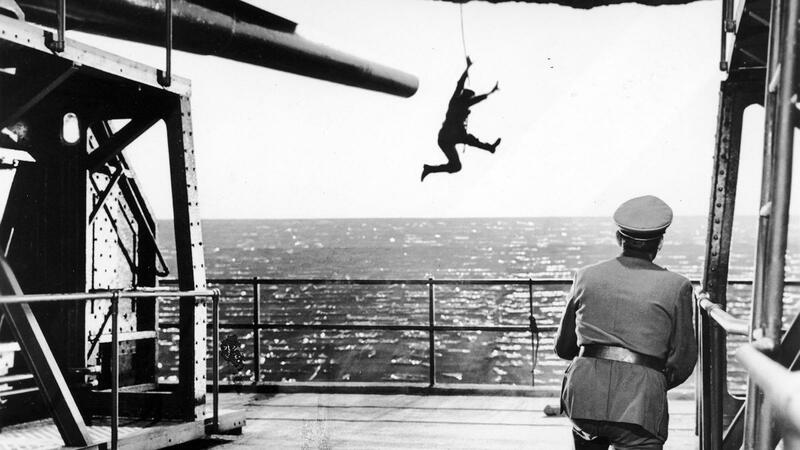 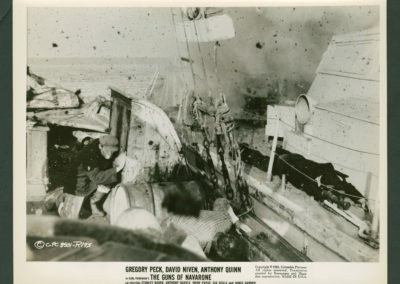 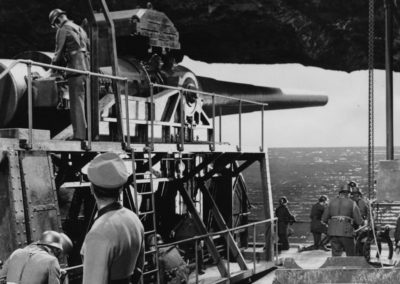 The book and the film share the same basic plot: the efforts of an Allied commando unit to destroy a seemingly impregnable German fortress that threatens Allied naval ships in the Aegean Sea. 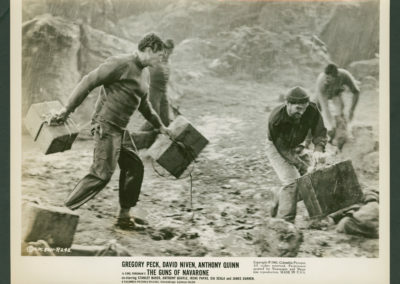 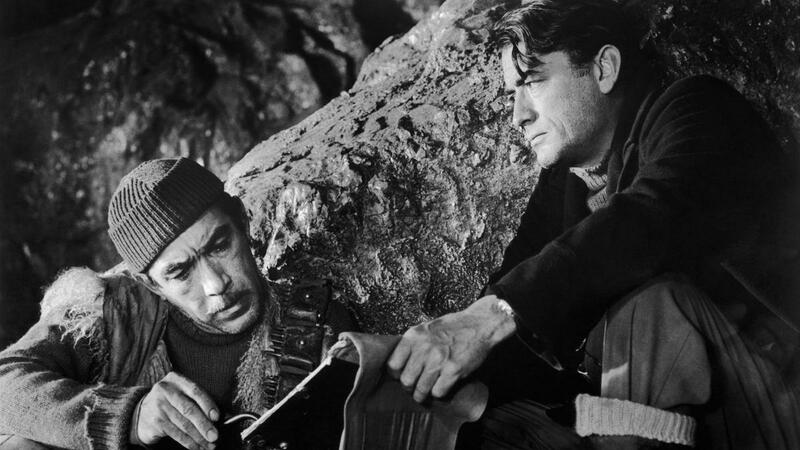 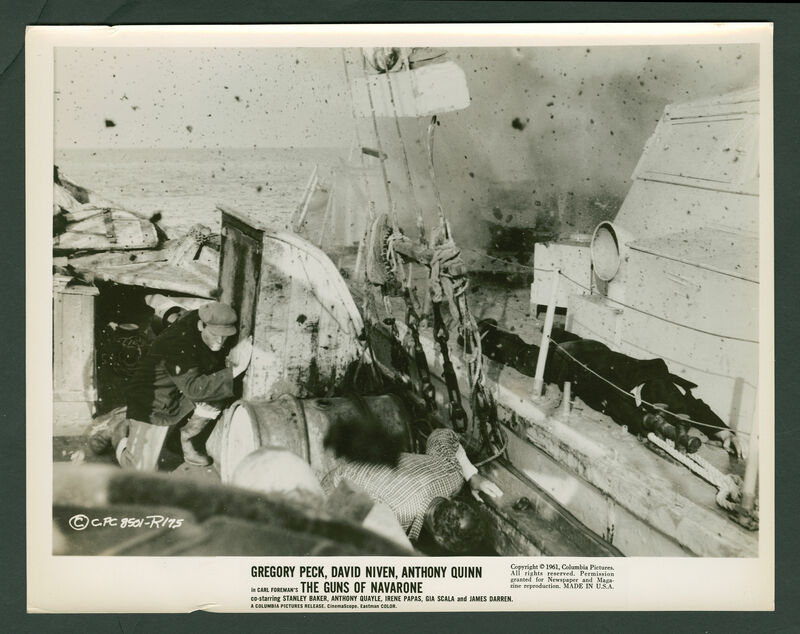 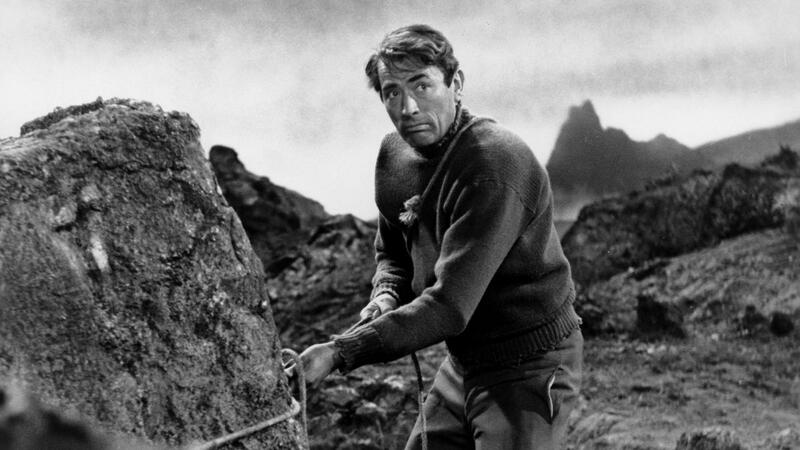 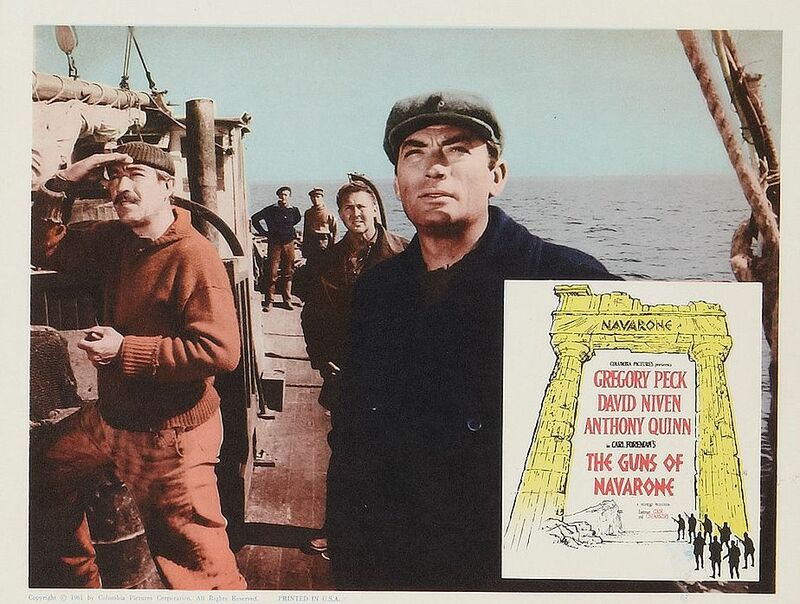 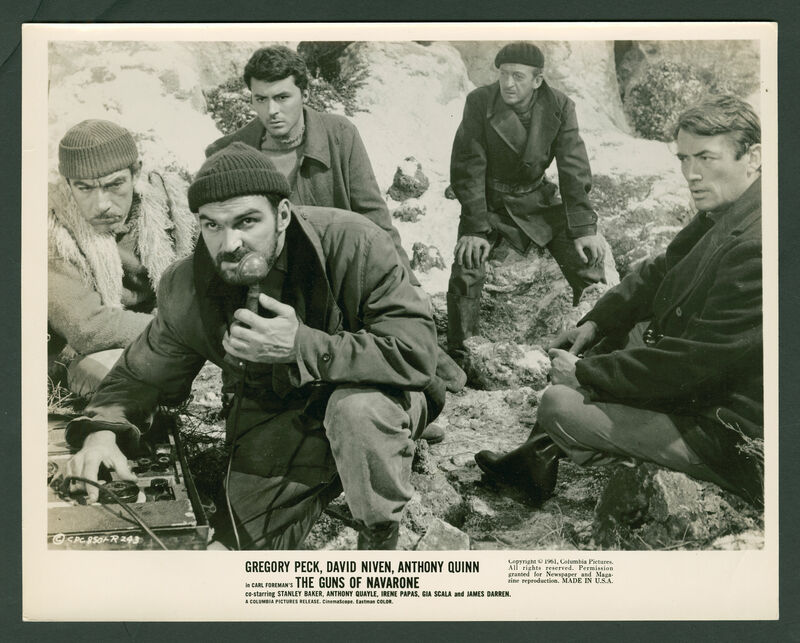 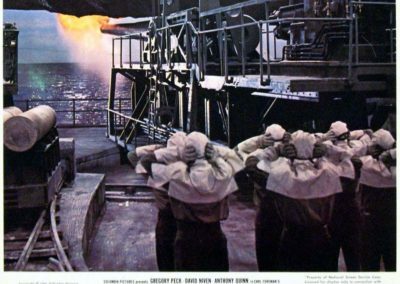 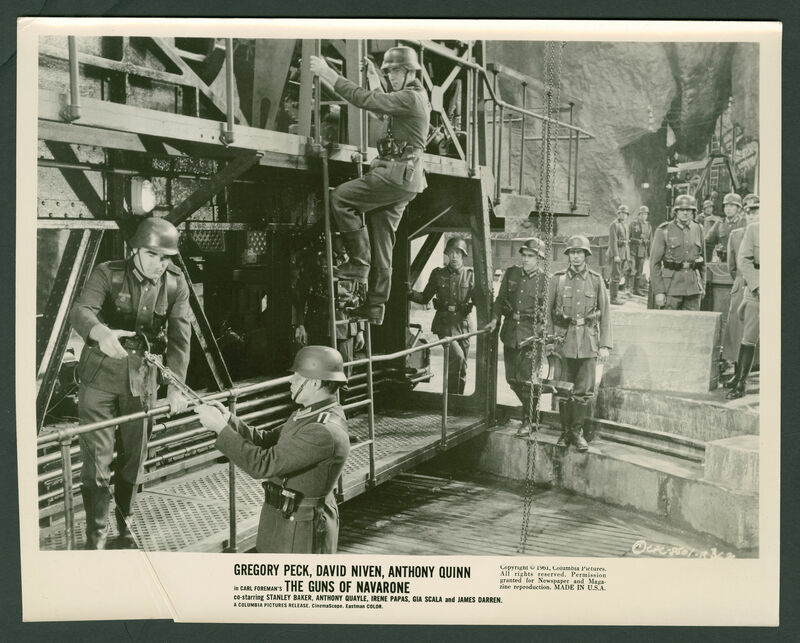 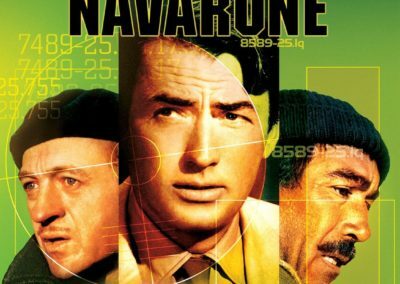 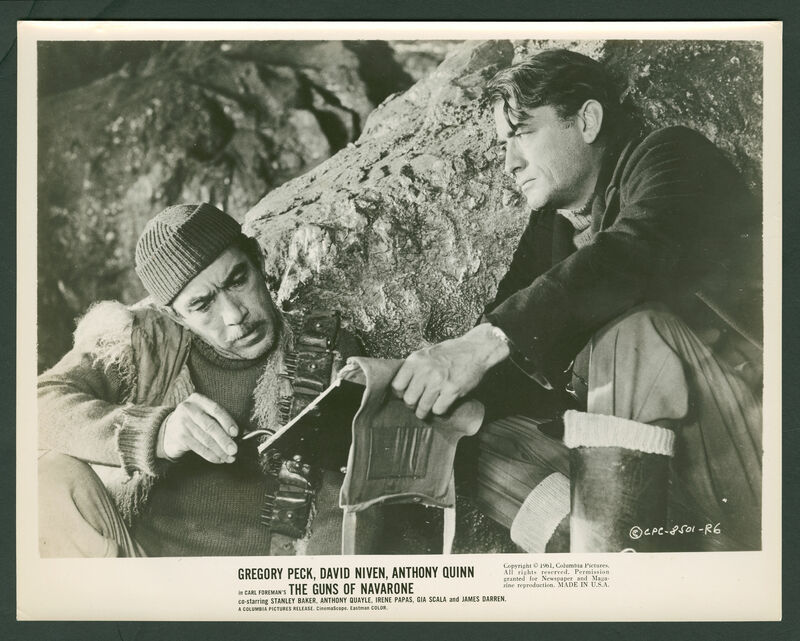 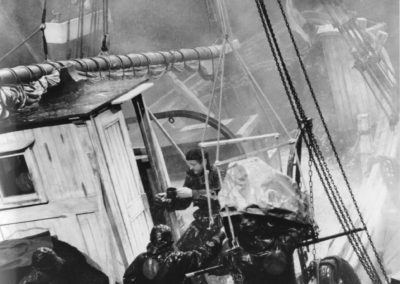 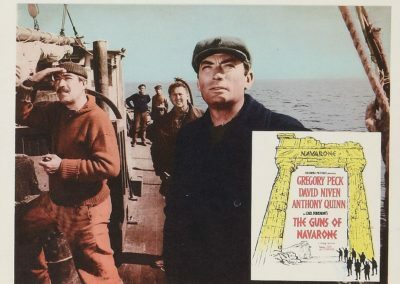 The1961 Academy Award-winning film for Best Special Effects, “The Guns of Navarone,” stars Gregory Peck as Keith Mallory, the leader of a group of British commandos tasked with destroying two gigantic German anti-ship guns on the Greek island of Navarone. 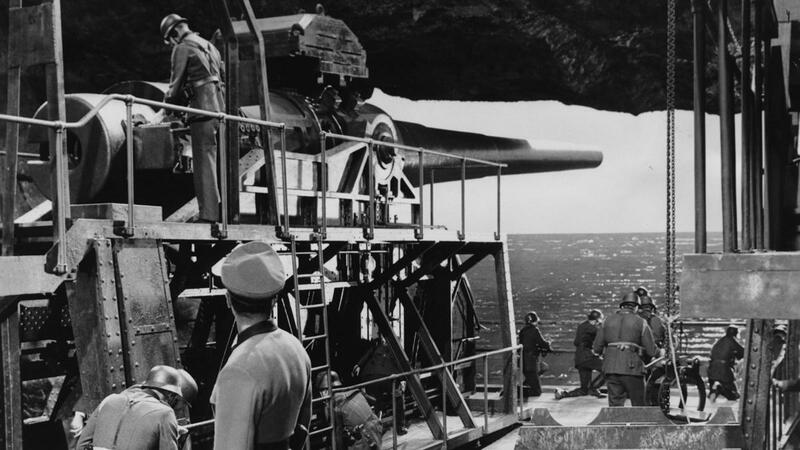 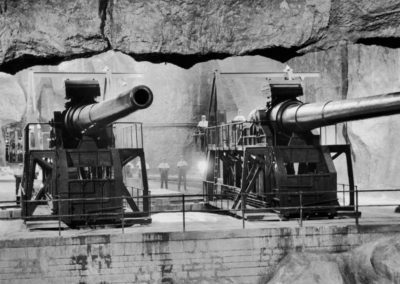 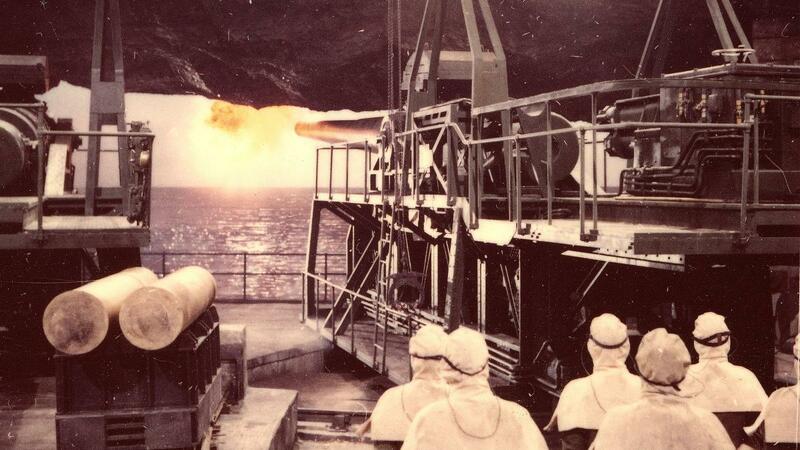 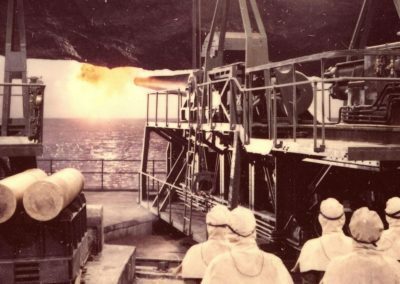 The British are desperate to evacuate 2,000 soldiers from the Aegean island of Kiros, with the only sea route through a stretch of water commanded by the guns that are encased inside a massive cliffside bunker that is immune to air attack. 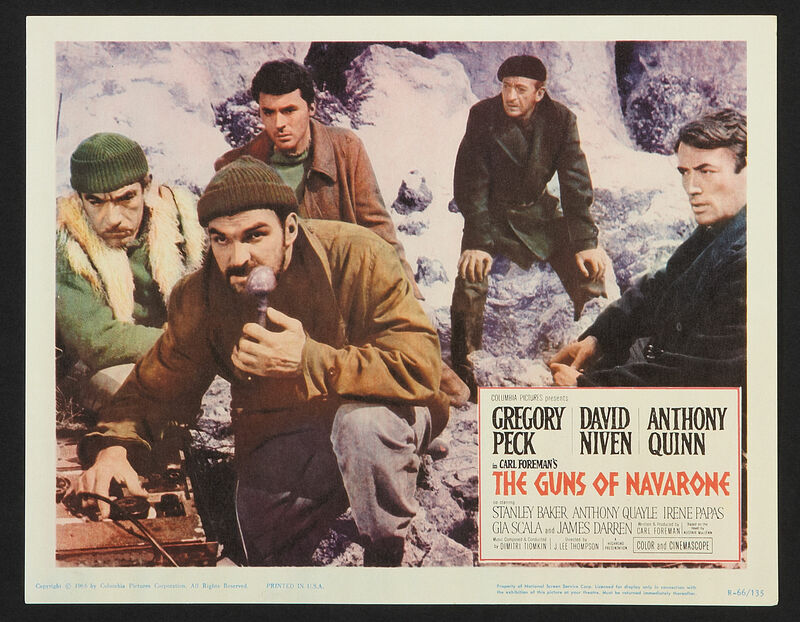 Based on the best -selling novel by Alistair (Where Eagles Dare) MacLean, Mallory has been working on occupied Crete for two years and as an expert mountaineer is the perfect choice to ferry the team to the only part of Navarone not monitored by the Germans – a 400-foot cliff. 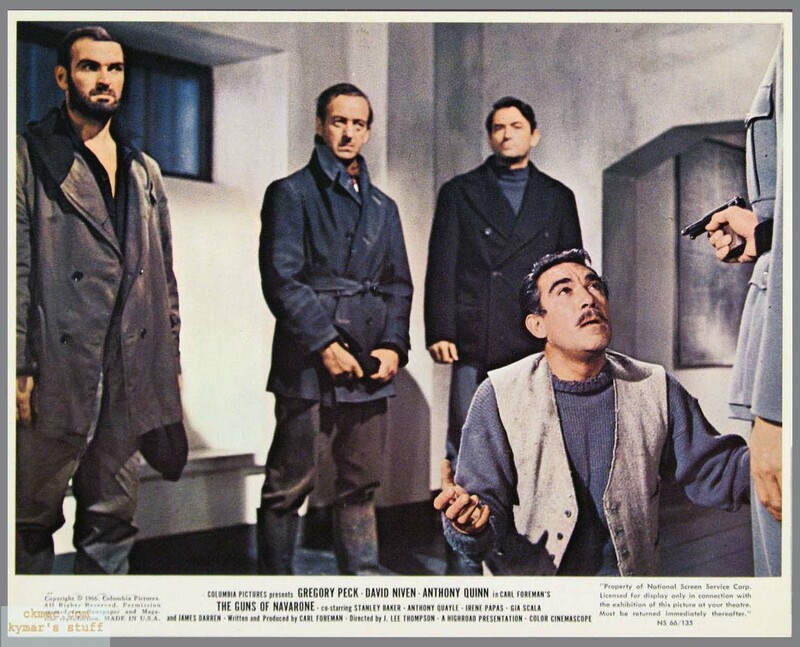 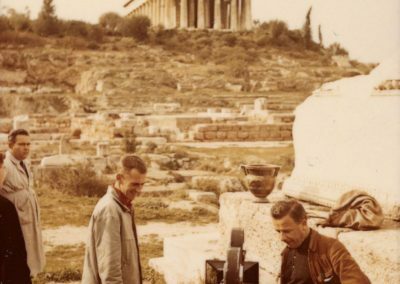 Joining Peck is David Niven as explosives expert John Anthony Miller and Anthony Quinn as a Greek resistance fighter. 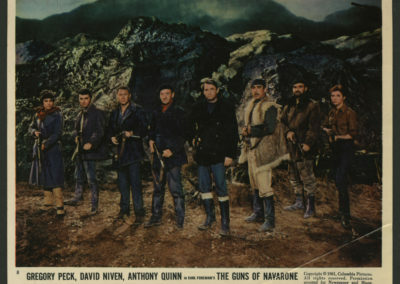 In fact on its initial release one of the criticisms leveled at the movie included the observation that the actors were too old to play commando’s, many being as they were in their 40s and 50s, however I believe the cast are perfect for their roles, a fact which would make recasting difficult for the sequel filmed 16 years later which saw Robert Shaw take on the Peck role and Edward Fox the Niven part. 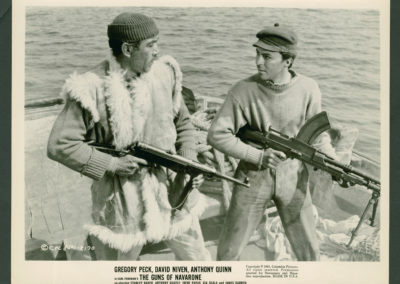 Indeed, almost 20 years later Peck would still be playing commando in 1980s The Sea Wolves. 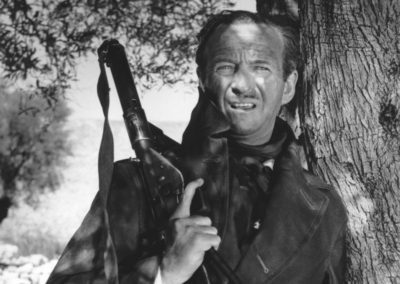 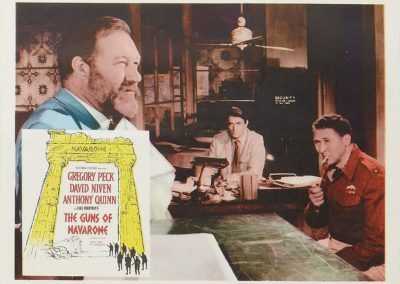 Eagle-eyed viewers will also spot a very young Richard Harris, who has the task of explaining the difficulties in destroying the guns in the opening minutes, including exposition that features use of the British swear word “bloody” which U.K. censors insisted be replaced with the word “ruddy”. 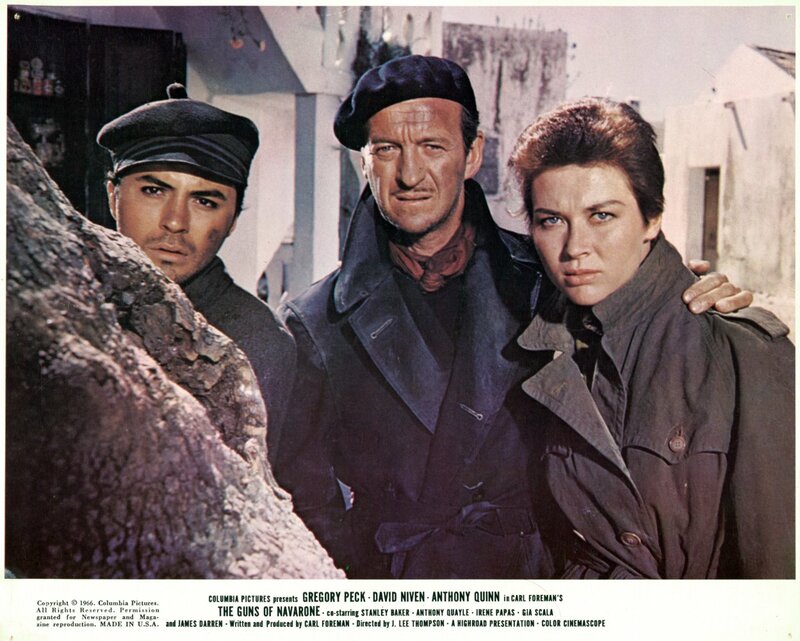 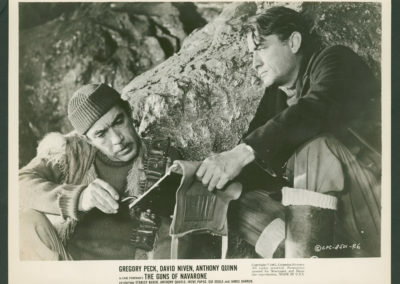 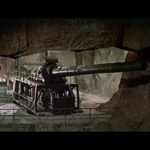 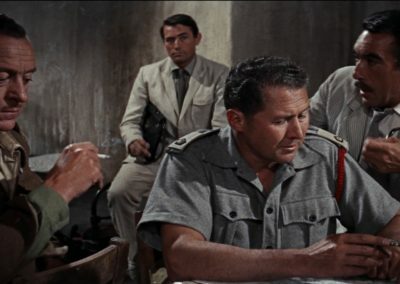 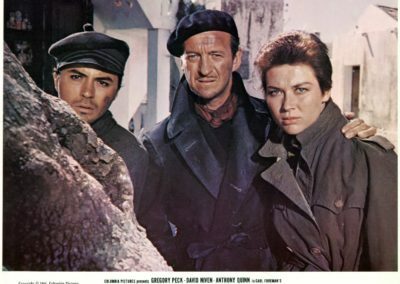 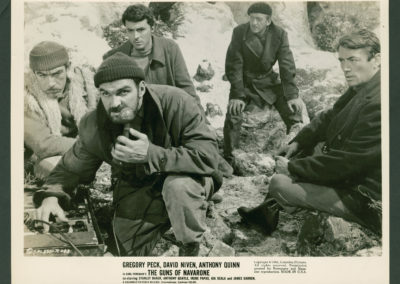 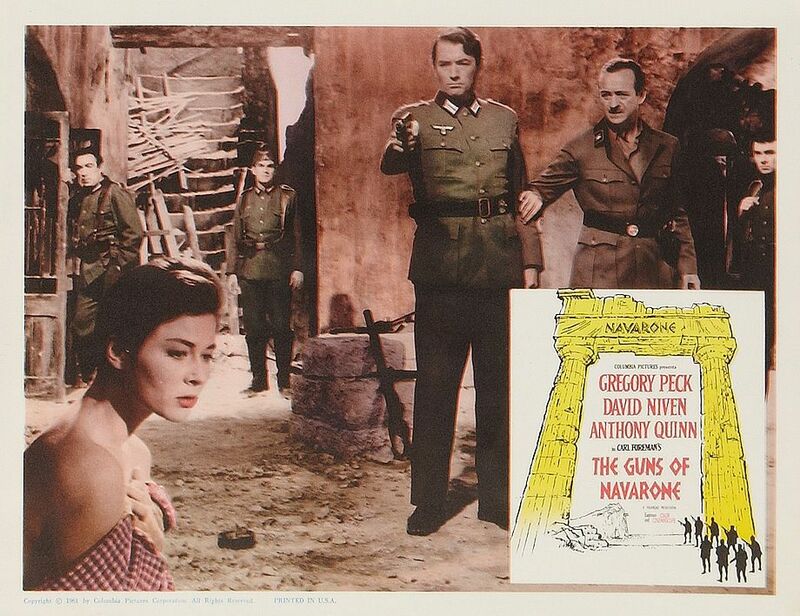 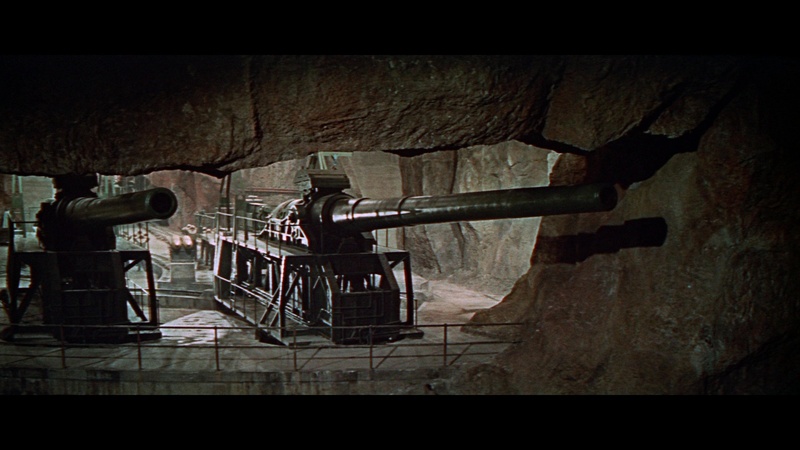 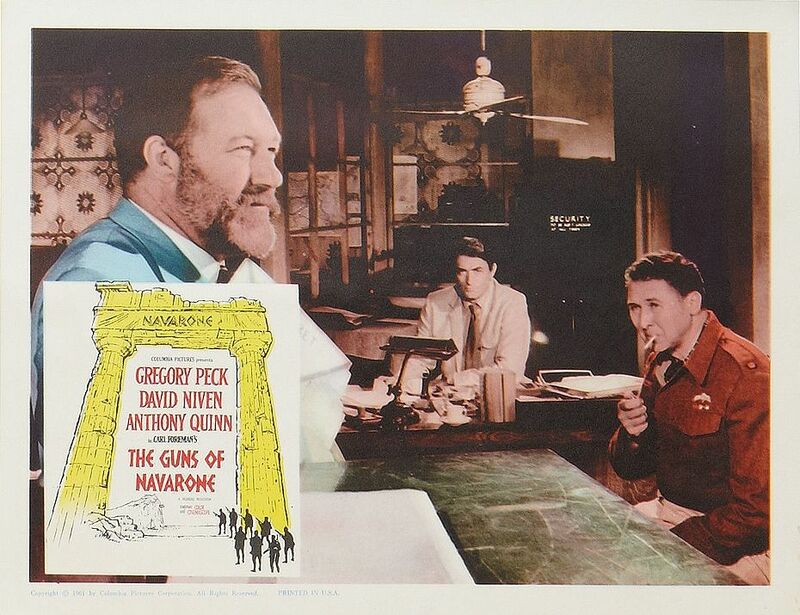 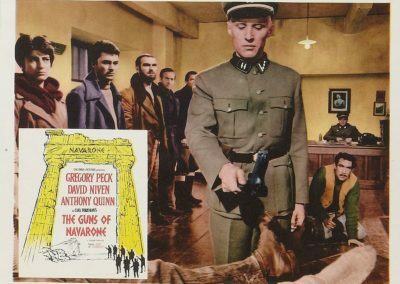 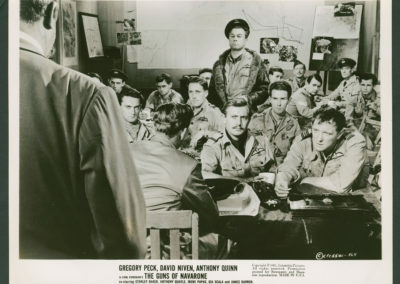 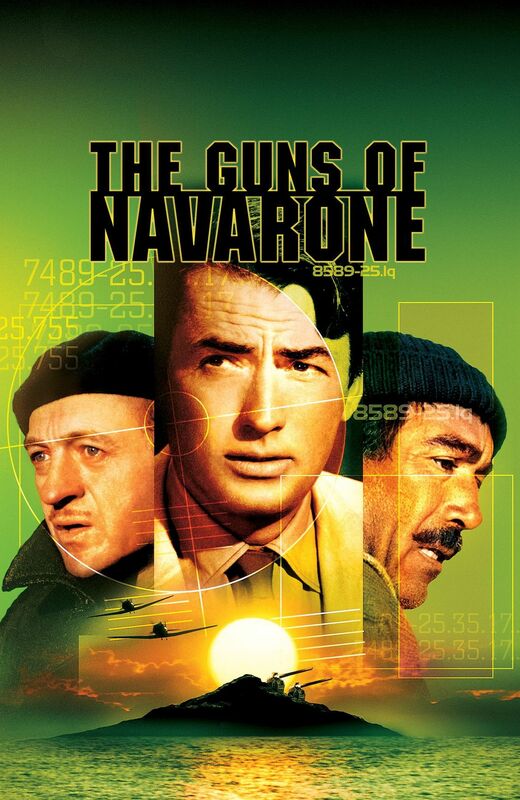 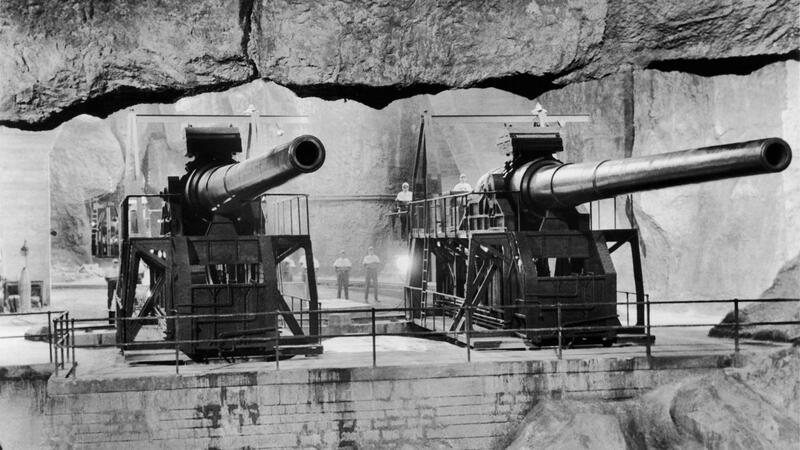 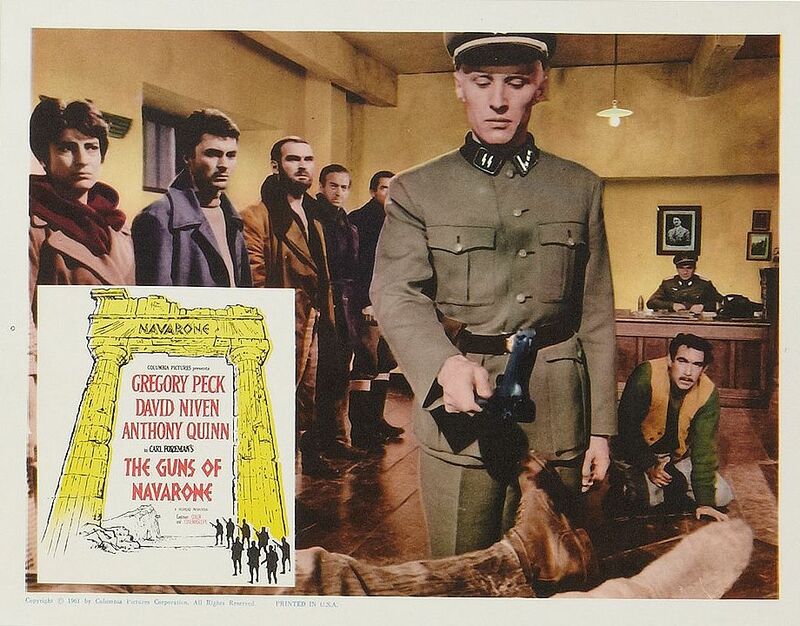 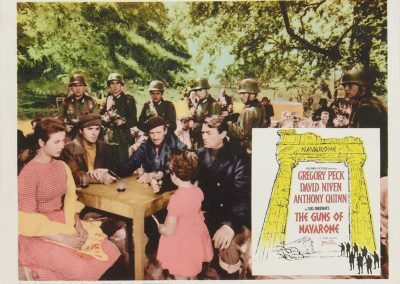 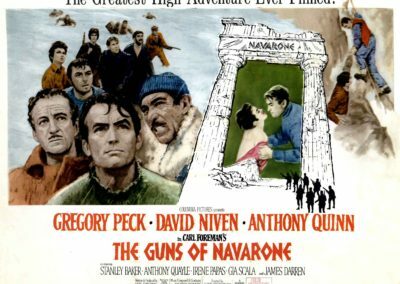 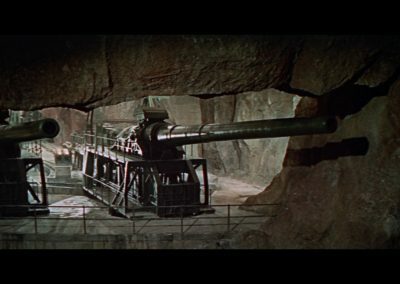 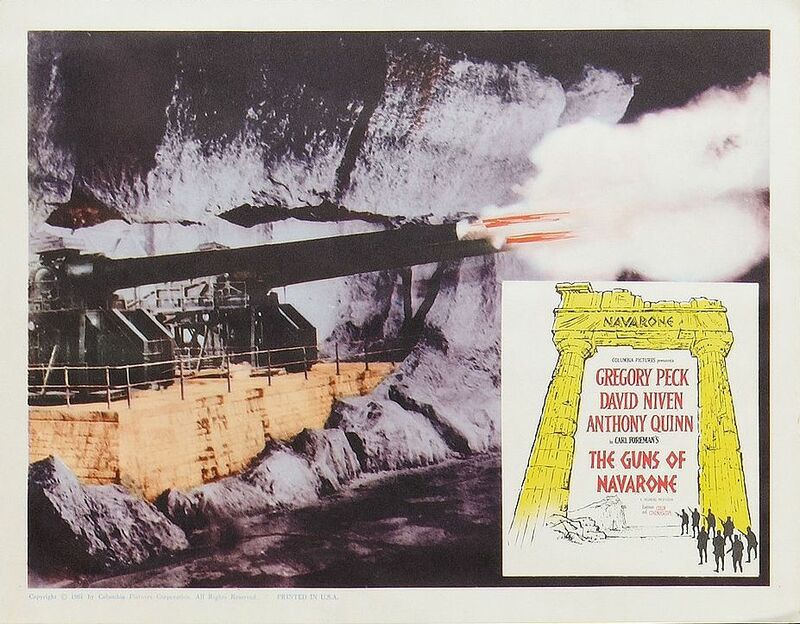 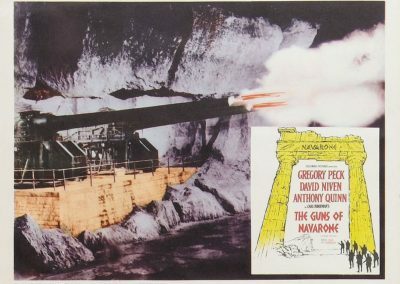 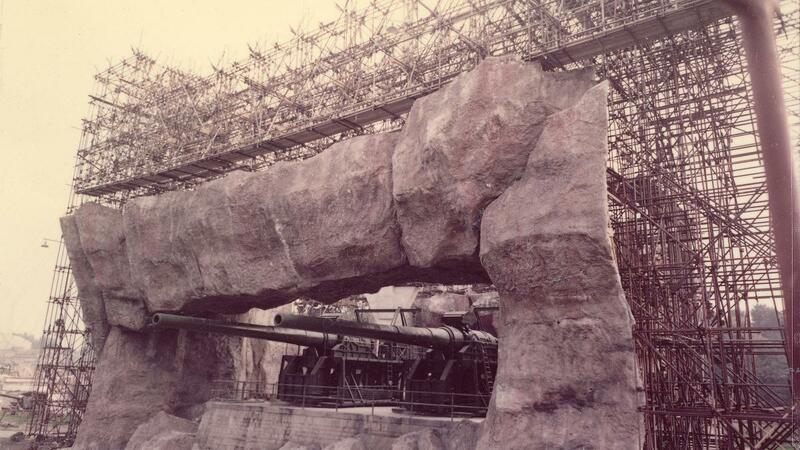 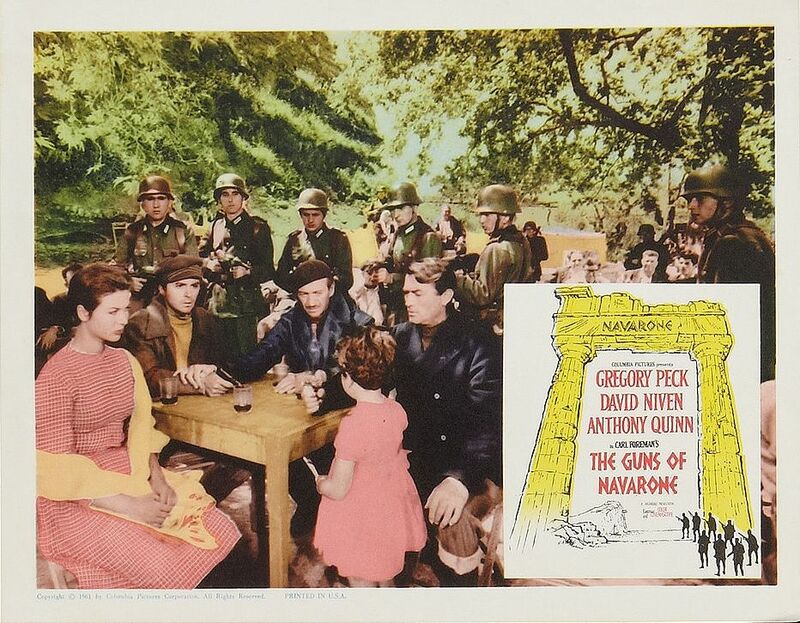 “The Guns of Navarone” was the first global production caper-style World War II movie to be played as an action adventure, an incredibly innovative move for the time that has been utilized several times since to great success including MacLean’s own Where Eagles Dare and Force 10 From Navarone. 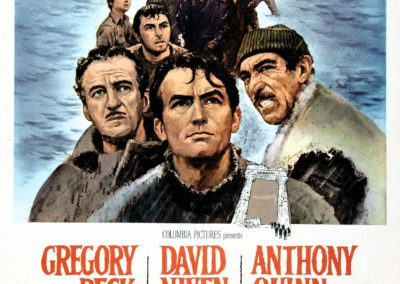 MacLean is known for being able to weave together a great story and this movie is consistently entertaining. 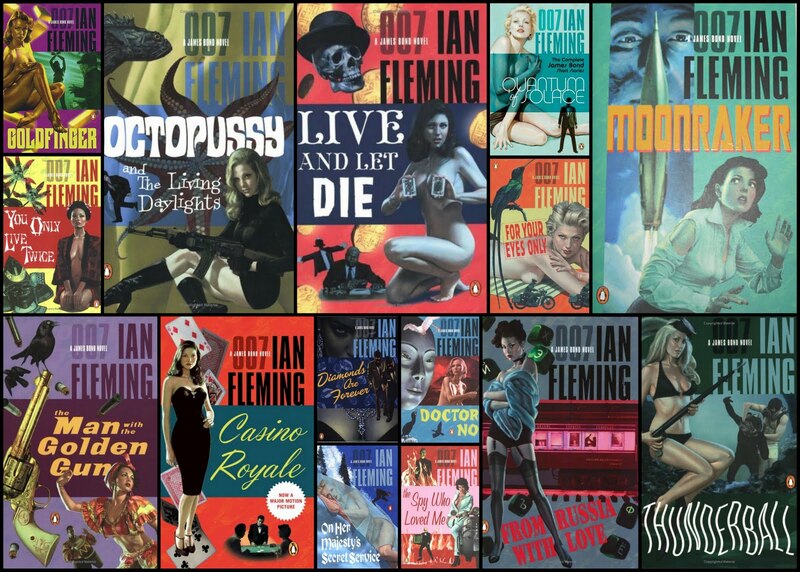 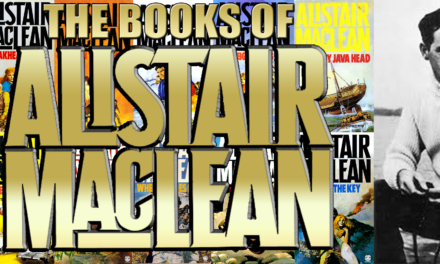 However there are a number of differences between the MacLean novel and the resulting movie. 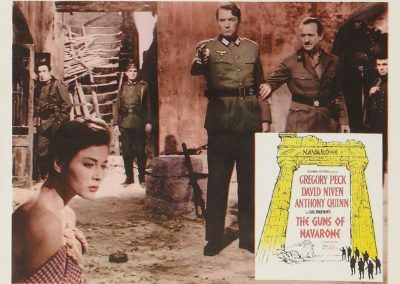 In addition to a number of changes to characterization, the novel is devoid of female characters whereas the movie features both Irene Papas and Gia Scala. 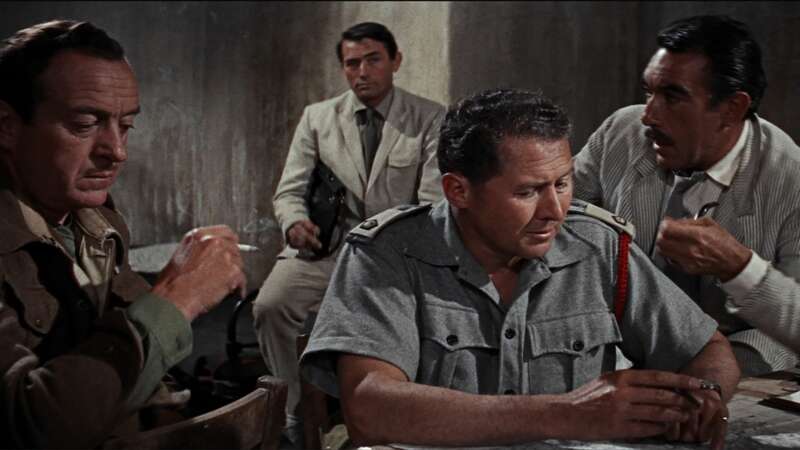 The movie adaptation was scripted by the formerly blacklisted Carl Foreman, the man also responsible for such classics as High Noon and another seminal World War II picture, the Academy Award winning David Lean film The Bridge on the River Kwai. 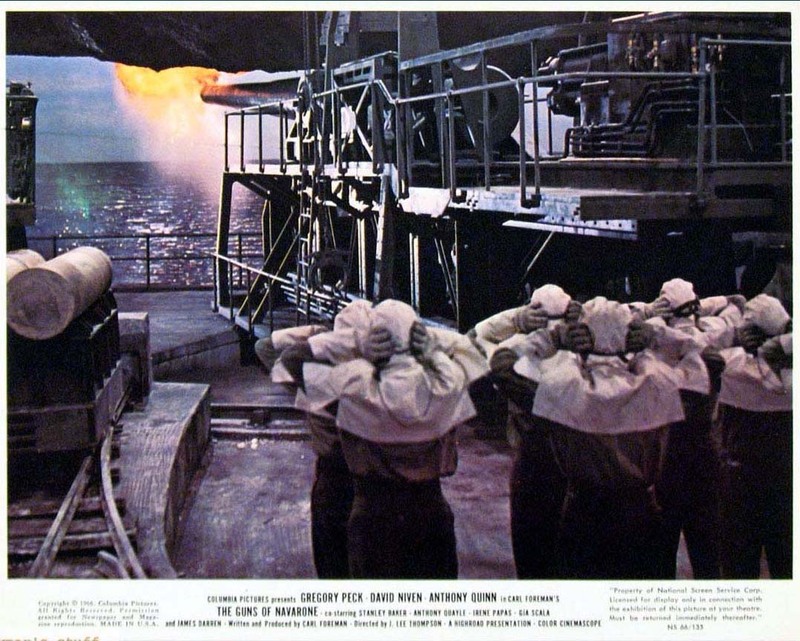 Foreman had faced years in the Hollywood wilderness for refusing to participate with the House Un-American Activities Committee during the McCarthy communism witchunt. 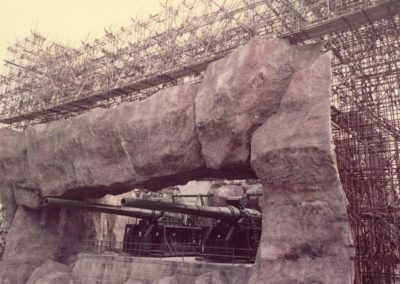 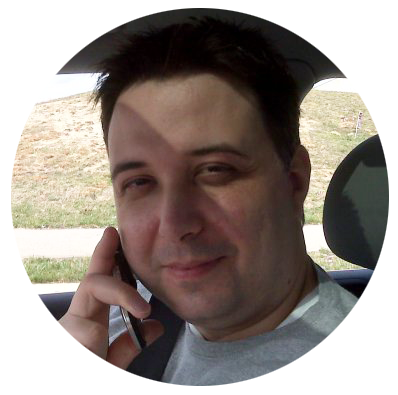 Foreman had a great deal of initial reluctance to handle the project. 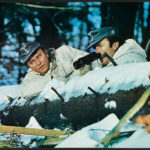 Foreman once said that he was incapable of making a movie that did not make statements and he initially saw the MacLean book as a simple wartime action adventure. 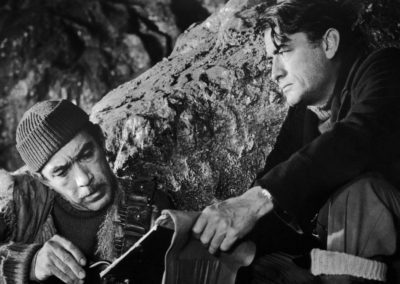 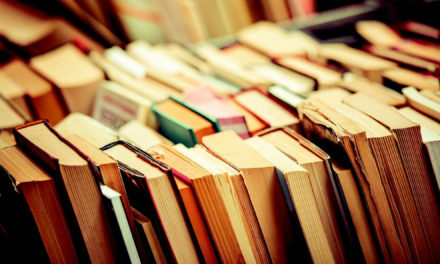 It was not until he re-read the novel that he realized it could serve to make statements about the futility of war and the ability of war to bring out the best in people. 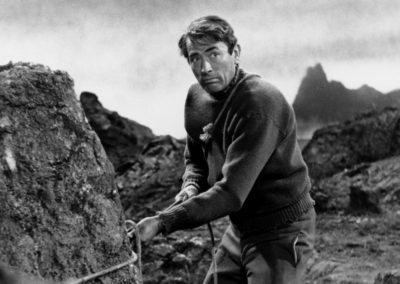 This movie was among those which started the trend of Hollywood going outdoors. 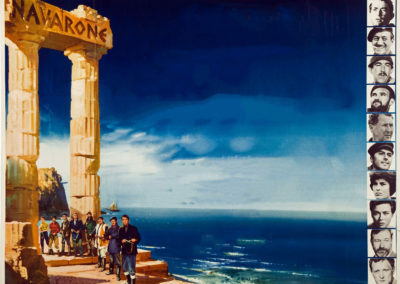 Up until this time most movies were filmed on the studios backlot, whereas this movie was filmed on the island of Rhodes. 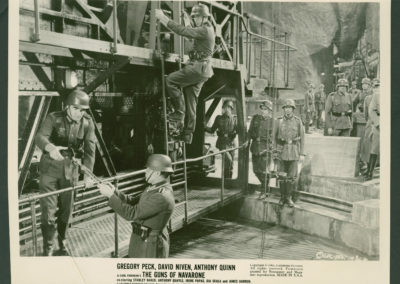 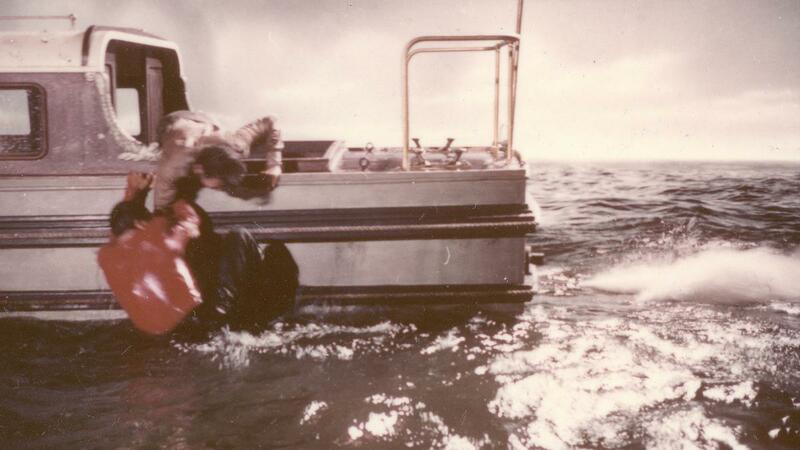 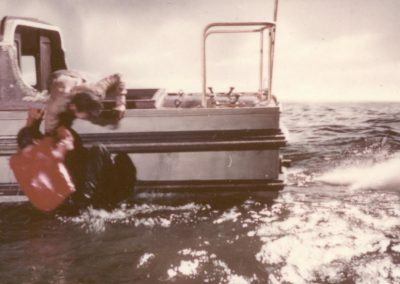 In addition to the advantages of location shooting, this also led to some difficulties when it came to scenes that, by necessity, were filmed on the soundstage. 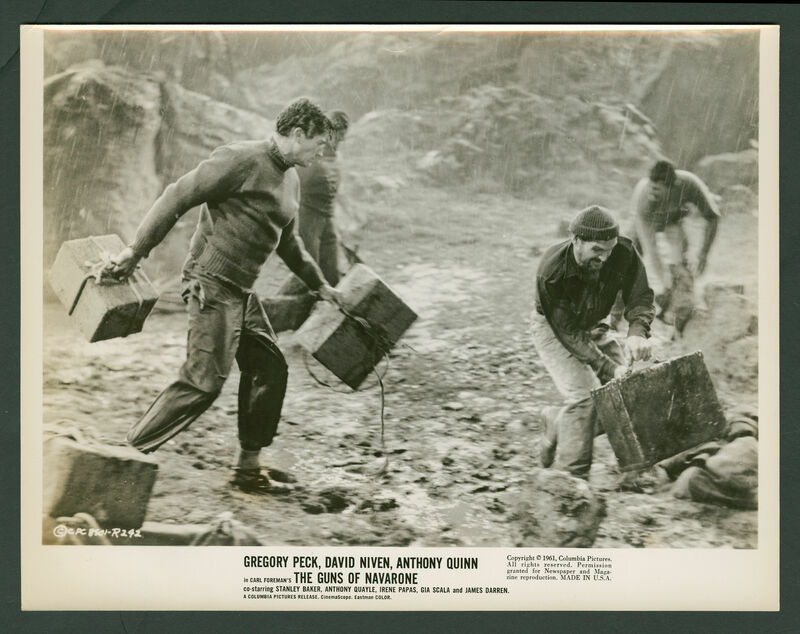 Great pains went into matching the look of the studio work with the exterior shots and great credit goes to Director J. Lee Thompson and Assistant Director Peter Yates (who would himself go onto great acclaim as a director) for being so successful that the effect is seamless. 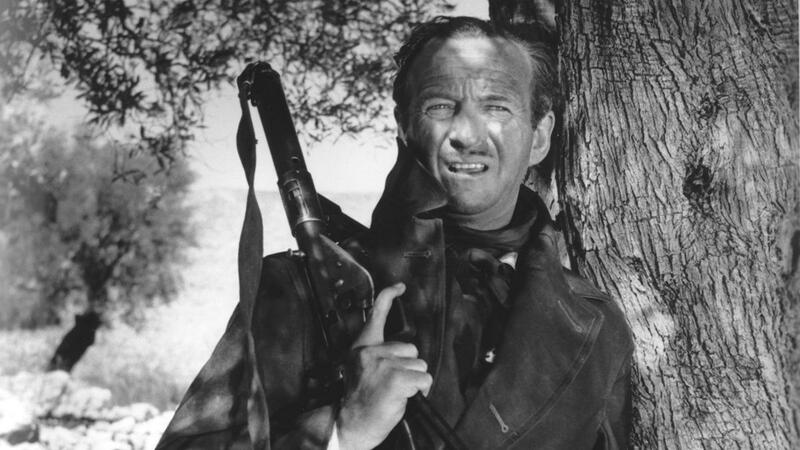 Thompson was not the first choice for director and in the Blu-ray for the movie Yates credits Thompson for his ability to jump straight into a film that had already shot much of its second unit work as well as his ability to manage so many big name actors. 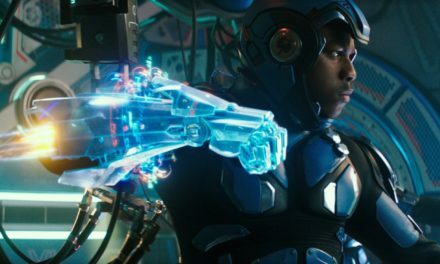 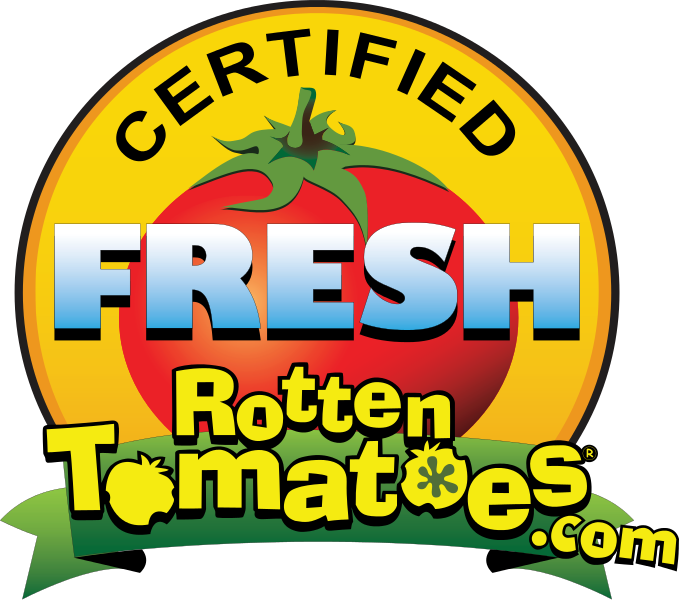 The movie is an easy recommendation and if it falls short in some respects it is in the pacing. 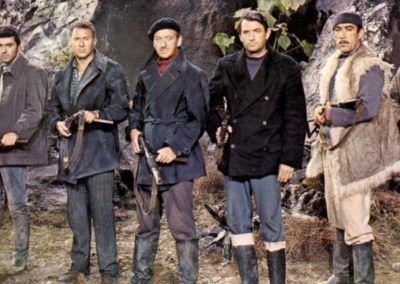 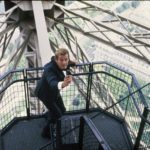 It’s not as action-packed as Where Eagles Dare or Force 10 From Navarone and might leave some modern viewers bored, but when it gets going it’s a great ride. 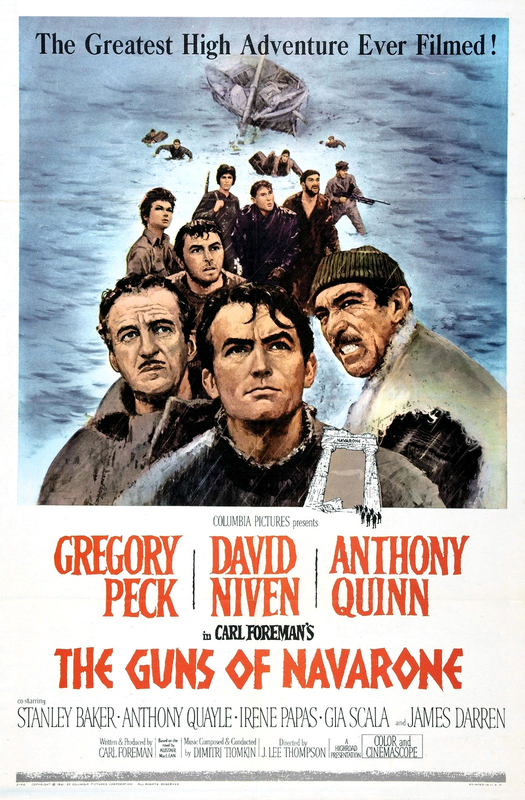 Alistair MacLean classic still excites after all these years The movie is an easy recommendation and if it falls short in some respects it is in the pacing. 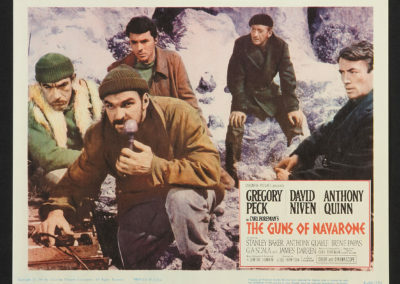 It's not as action-packed as Where Eagles Dare or Force 10 From Navarone and might leave some modern viewers bored, but when it gets going it's a great ride.